Jo Ann Jones, born May 2, 1933, passed away March 30, 2019. Beloved wife of the late Frank Jones, dear mother of Deborah (Jeff) Woods, Daniel (Tina) Jones, and the late Denise (Steve) Eggers, cherished grandmother of Ann Maldonado, Daniel Jones, and Lindsay (Dan) Horlander, and great grandmother of Bryson, Ian, Kymber, and Brystal Horlander. Jo Ann was very active in Church and was a member of the Sharonville Senior Center. She loved puzzles, gardening, and crochet. 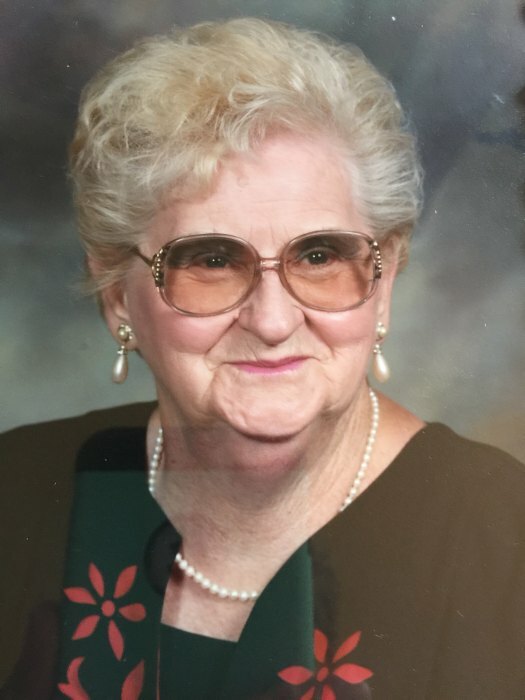 The family of Jo Ann will be receiving friends for a memorial service at Grace Bible Presbyterian Church on May 4, 2019 beginning at 10:00 AM. Donations may be made in memory of Jo Ann to the Church Youth Group or Hospice of Cincinnati.